Integra Service Dogs Australia provide Veterans and First Responders with a living, breathing lifeline to the outside world. Our program begins by carefully matching veterans to their service dog. Integra Dog Training is a reward-based core skills training program, it takes approximately 6-12 months to complete (however, it can take as long as is required to support the handler). The program has been designed to ensure that ISDA Veterans and First Responders successfully achieve their goals, while strengthening the team bond. Integra Dog Training builds the foundation necessary to successfully undertake The Public Access Test (PAT). Our Program aims to provide Veterans and First Responders with the training and successful completion of a fully certified Service Dog that provides them with the tools to reclaim their place in the community, and rebuild their lives. To ensure that the program is made available to everyone who needs it, Integra Service Dogs Australia covers all dog and travel-related expenses for the program to ensure that it is available to everyone who needs it. Our dogs and the equipment they need are gifted to our handlers free of charge. This support includes dog food, veterinary treatments, obedience training, training equipment, identification cards and other support documentation. STEP 1 – Discussing with your family, partner and immediate friends whether you are in a position to take on the responsibility of caring for and training a Labrador Service Dog. This includes considering whether you have a safe yard or space to house the dog to secure it from theft or loss, whether you have the time to commit to the training of your Labrador dog, whether your are emotionally and physically resilient enough to take on the responsibilities of providing for the welfare of your dog, and whether you are in a financial position to contribute to the costs of your training fees for the dog and for contributing to the veterinary care and support of your trainee Service Dog. STEP 2 – Complete the Integra Application Form (PDF). Submit the Application Form to the enquiries@isda.com.au for review. Contact us. STEP 3 – Provide a letter of support from your GP or treating clinician to confirm that in their opinion they consider that you are in a position to take on the responsibilities of caring for and training a Labrador Service Dog. STEP 4 – Respond to further follow up questions from our Integra Dog Training Team regarding your application. Applicants should note that all information provided by applicants to Integra will be treated as confidential and will not be released to other third parties without your express written permission. Once your application and letter have been received a primary Interview is arranged with our ISDA Team, (consisting of the ISDA National Program Manager/Co-Founder and the ISDA National Kennel Master/ Co-Founder). To complete the application process ISDA representatives will come to your home and meet with all the members of your household to review the program and assess your home for suitability for an ISDA dog. 1. That the client has a PTSD Diagnoses. 2. That the client is ready for the program. 3. How often the client sees you. WHAT IS SPECIAL ABOUT OUR PROGRAM? Our Integra Dog Training Program teaches our dogs to become emotionally tuned to their Veteran or First Responder and their unique triggers. Our Program creates a strong bond and relationship that allows the dog to learn how to help their Veteran or First Responder. When re- experiencing, having nightmares, having a fight or flight response or dissociating, the dog will reorient and guide them to a safe place by helping to physically ground them or will bring their attention to the dog by a variety of methods: pulling, licking, pawing, barking, etc. Our exceptional dogs support Veterans and First Responders which leads to reduced periods of hospitalization, reduced medication levels, helps individuals rebuild trust and relationships, and connect with family, friends and the community. Integra Dog Training Program is provided free of charge to each participant. If participants are able to contribute to the dog/training either personally or through donations, it means our funding can go further to help others. Our dogs and the equipment they need are gifted to our handlers free of charge. Training for our teams is also provided free of charge. 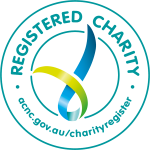 ISDA is a registered charity, approved by the Australian Charities & Not For Profit Commission and relies entirely on donations from the public and our corporate partners. Donations to ISDA are tax deductible as approved by the Australian Taxation Office. Integra Dog Training Program takes approximately 6-12 months to complete (however, it can take as long as is required to support the handler). HOW DO I GET MATCHED WITH MY DOG? Once you have been officially accepted into the Integra Dog Training Program you will be matched with a dog by our training team. There are the three levels of Integra Dog Training. The skills taught in each level are listed below. LEVEL 1 – CORE SKILLS – Basic Obedience, Dressing your dog, Sit, Down, Stay, Stand, Heel, Recall, Present, Basic Retrieval. LEVEL 2 – ESSENTIAL SKILLS – Handler confidence training with obstacles, Automatic sit stay, Take it, Leave it, Accepting a friendly stranger, Politely accepting petting, Door exercises, Come when called, Safe vehicle load and unload, Positioning dog under chair, Reaction to high distraction behaviours, Managing distractions. LEVEL 3 – ADVANCED SKILLS – Loose dog exercises, Walking through a crowd, Reaction to passing a dog, off leash recall, Stand for examination, Accepting a friendly Stranger, Walking through a doorway with a dog present, Come when called off leash, Meet and greet (dog to dog interactions), Using travelators, escalators and elevators, Requested empathy, Advanced retrieval, Personal space buffering. Our Service Dog Training Program provides Veterans and First Responders with renewed purpose, confidence and unconditional support.